Traveling solo takes guts. While the freedom to do whatever you want, whenever you want, is incredible, it can become a little bit lonely. There comes a time that you want to connect with other people—fellow travelers and locals alike. Commonly, this leads to advice and recommendations on places that otherwise would have never been uncovered on your trip. Plus, sharing memories with others often enhances experiences. Meal-sharing programs are a fantastic way to meet interesting people, eat good food, and connect with locals. Apps like EatWith, Feastly, and BonAppetour, allow travelers to experience home cooked meals prepared by a local in their home. Meals can range from four to ten people dining and are usually a mix of travelers and locals. Eating with someone in their home adds an intimate experience to your travels that isn’t always readily accessible, but now can easily be enjoyed. Along with a chance to stay on a local’s couch for free, there are forums and chats on the popular web portal Couchsurfing to arrange meet-ups. If you are uncomfortable crashing on a stranger’s couch, either mentally or physically, set your profile to the “meet for coffee” option. This lets people know you aren’t offering/needing accommodation but are up for meeting people in the area. There are many travel related groups on Facebook. One of my favorites is GirlsLoveTravel, an all-girl group with over 200,000 members. It is common to see members post comments on the group wall detailing where they are and requesting other travelers in the same area get in touch. Websites, like Wandermates and TravBuddy, are designed specifically to help travelers meet each other while traveling. After creating a profile, which is free, you can search for travelers and/or meet-ups in the area you will be visiting. Can’t get any easier than that! The luxuries shared accommodations lack are made up for in social opportunities. Hostels tend to be very social, so staying in a room with eight strangers creates an atmosphere conducive to meeting people. Sharing a room not your thing? Book an Airbnb for privacy, but also the chance to connect with a local. Almost every major city around the world has a cafe, bar, or restaurant catering to expats. Spending an afternoon at one of these provides plenty of run-ins with other travelers. Furthermore, hitting up a hostel bar or common area provides a plethora of opportunities to make new friends. Engaging in a shared learning activity opens up many instances to meet people, all while creating a unique travel experience. A classroom environment allows for low pressure interactions. Some people might find this atmosphere preferable to meet ups with large groups, which can be overwhelming, or one-to-one meetings that can be high pressure. Meetup is a social service that lets you organize and join local, real-life “meetups” for people who share your interests. With meetup groups ranging from broad (Discover San Francisco) to specific (Non-Gaming Virtual Reality Meetup SF), you are bound to find one tailored to your particular interests. It’s free to join, although some events do require tickets. If you can’t find the one you want, start your own! Give back and meet people! There are an abundance of volunteer opportunities spanning the globe, making it easy to discover a cause you care about. Ecoteer Responsible Travel and Foundation for Sustainable Development are great resources to find and contact an organization that is a perfect fit. Ok, maybe a bit of a controversial tip, but Tinder matches you with people nearby all looking to meet new people. You could make a new local friend or perhaps something more ;). Last but not least, this is the good old fashioned way to meet people. Make a habit of trying to be social, and don’t forget to smile. 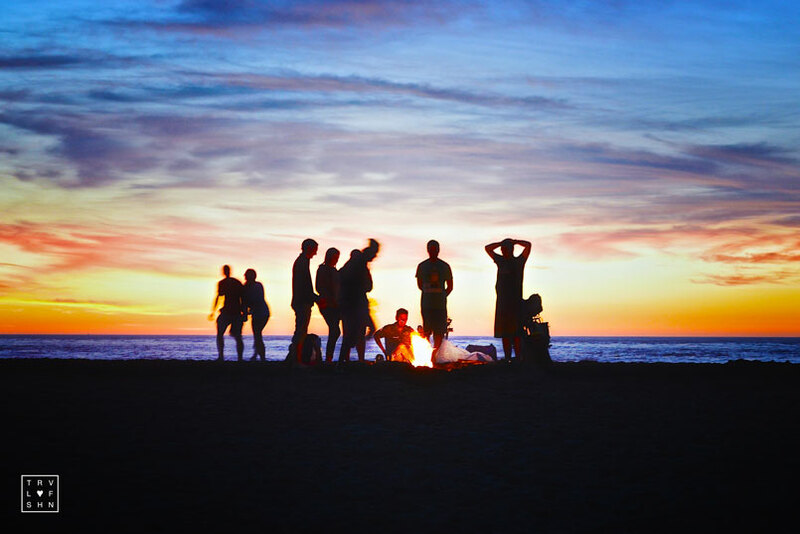 If you make an effort to interact with as many people as possible you’ll definitely make some friends that can add a whole new element to your trip!